Virtual Animal Games Статья - Страна виртуальных миров! Оценить эту Статью Animals have been our companions for a long time and fascinated us, and in many games you can look after or even become them. This article brings you 5 great games involving all creatures great and small. Virtual World games always have and probably always will be great but when you add the element of animals into the mix, the enjoyment factor goes up by a whole lot. In this article we'll be discussing some. The main feature behind virtual world games featuring animals is that they add a lot of extra activities for the players that wouldn't really be possible in a regular virtual world. It's incredibly satisfying doing things like training your animals to be good at certain disciplines and then watching them give amazing displays at competitions. Things like this separate animal virtual games from the rest of the pack and are the prime reason behind their appeal. Another really great thing about these games is that they're presented near flawlessly. They usually come with highly detailed artwork, top tier animations and some really nice sound effects backing them up which makes playing them a much more immersive experience. You can, at times, even interact with animals in various different ways to make them do really cute things like jump and roll over which just makes players want to enjoy these games even more. Happy Pets is a phenomenal game with a really cute art style. It's full of adorable animals with really big eyes that make them look even nicer but its good looks aren't the only thing it offers. There's tons of fun gameplay as well since you can adopt pets as your very own, raise them and watch as they grow day by day. You can even buy and decorate cool rooms for your pets to live in. In Animal Jam you won't be playing with animals but instead you'll be playing as one which is a nice change of pace. When you start off you get to choose what animal you want to be and then you can customize your look according to your likings. The game is full of fun stuff to do for example exploration and mini-games. Instead of a house you'll have your own den which you can decorate as you please. Moshi Monsters Thematically this game might be slightly different from your usual animal virtual world but still pretty much the same concept. You get to create very own monster and then explore a gorgeous world full of possibilities. Decorate your home with cool furniture, grow plants and invite friends over to have a good time. 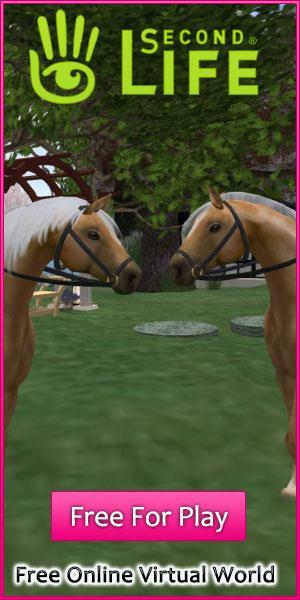 Howrse is perhaps one of the best horse based virtual worlds out there since you get to raise multiple different breeds of horses. This game puts you in control of your very own equestrian center which you must maintain. Other than just raising and training horses, there's a lot else to do as well for example working to earn extra money that can be utilized to purchase stuff for your horses. Dogzer is in a way quite like Howrse but instead of horses you'll be playing with dogs instead. It's incredible how many species of the animal have been implemented into the game but the real attraction lies in the fact that there are a lot of fun events that you can participate in to show the world your dog's skills and abilities. All the games mentioned above are really high quality games that feel quite unique to play since they're focused around animals. Needless to say, we recommend trying them out as they have a lot of great moments to offer.